Peyton Greenwood, Jerrion Ealy, and Adam Norsworthy, ready to take their talents to the next level. Flowood, MS — From national media outlets to the coaches and fans at Jackson Prep, February 6th has been a day in the back of everyone’s mind for quite some time now. 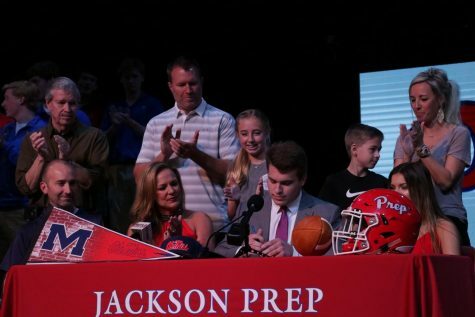 On National Signing Day (NSD), three Prep stars made their decisions official in front of the entire student body and a whole host of national and local media correspondents, including ESPN. Peyton Greenwood, a wide receiver and defensive back, announced his decision on Tuesday, February 5th, just hours before the window opened for NSD. Greenwood announced via Twitter (@GreenwoodPeyton) that he would play football at the United States Air Force Academy, and on Wednesday, he made it official. Greenwood is a long, athletic, and explosive player. Greenwood will join the flashes as a wide receiver, but with his versatility and playmaking ability, it would come as no surprise to see him playing on both sides of the ball. 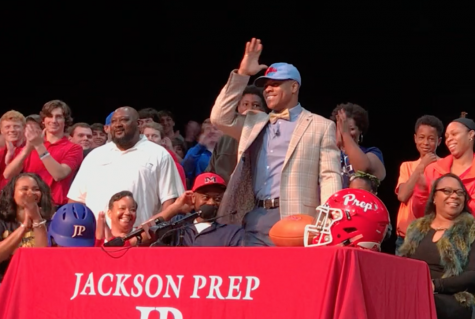 With the nation’s eyes on Jackson Prep, Jerrion Ealy announced his decision to sign with Ole Miss on ESPN’s broadcast, live from the Prep auditorium. 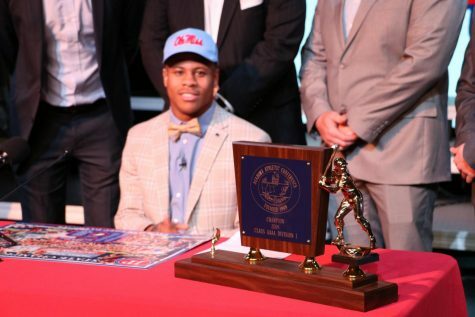 Now that Ealy is an Ole Miss Rebel, a sigh of relief can come from all parties involved. Although, Ole Miss Head Coach Matt Luke and his staff will feel the most at ease as they have added arguably the most explosive player in the 2019 football class. Ealy took multiple official visits within his final month before signing, his most recent being to the Alabama Crimson Tide. However, Nick Saban and his staff weren’t able to make the last second push they needed to land him. 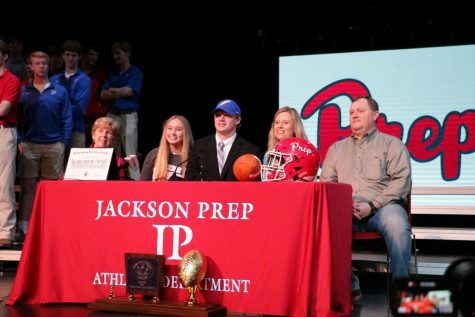 The Jackson Prep dual-sport All-American was also originally committed to the Rebels for over a year, but de-committed in January before eventually reapplying his pledge. Ealy, who is rated a five-star athlete for both football and baseball by at least one service, now has an even bigger decision in front of him as the MLB Draft is months away and he is a projected first-round pick. Whether he decides to stick with his decision or start his MLB career remains to be seen. For now, Ealy is primarily focused on one thing: winning another state title for Prep’s baseball program. 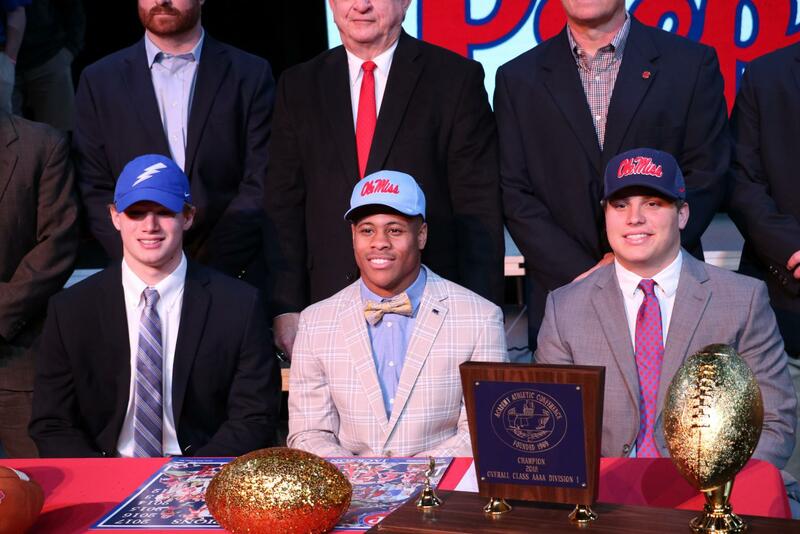 Along with Ealy, Adam Norsworthy signed his NLI to play football for the University of Mississippi. Adam Norsworthy is classified as an all-around athlete because of his size and speed, but he hopes to primarily play inside linebacker for the Rebels. Adam will play a key role in rebuilding Ole Miss’s defensive backfield thanks to his knack for chasing ball carriers.